Welcome to the Perspectives donation page. Subscription income alone does not cover all the expenses needed to produce Perspectives each quarter. Your generous gift is greatly appreciated. Perspectives is committed to protecting your right to privacy. We will collect, store and process your personal data for the purpose of servicing your subscription. By using our website and services you consent to our collection and use of your information. 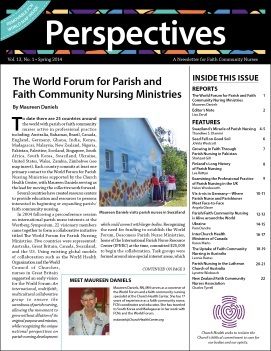 Perspectives would like to send you email newsletters and other communications about events and special offers, and occasionally, information from carefully screened partners that could be of interest to you.